(Reuters) – Regulators reviewing potential changes to the Community Reinvestment Act should strive to promote more bank lending in underserved communities, Federal Reserve Governor Lael Brainard said on Friday. The Office of the Comptroller of the Currency (OCC) sought public comment in August on a planned rewrite of the 1977 Community Reinvestment Act (CRA) rules, which banks say have become outdated since they were last updated in the 1990s. The Federal Reserve shares responsibility for enforcing CRA rules with the OCC and the Federal Deposit Insurance Corporation, but the Fed did not sign off on the OCC’s request for public comment in August. 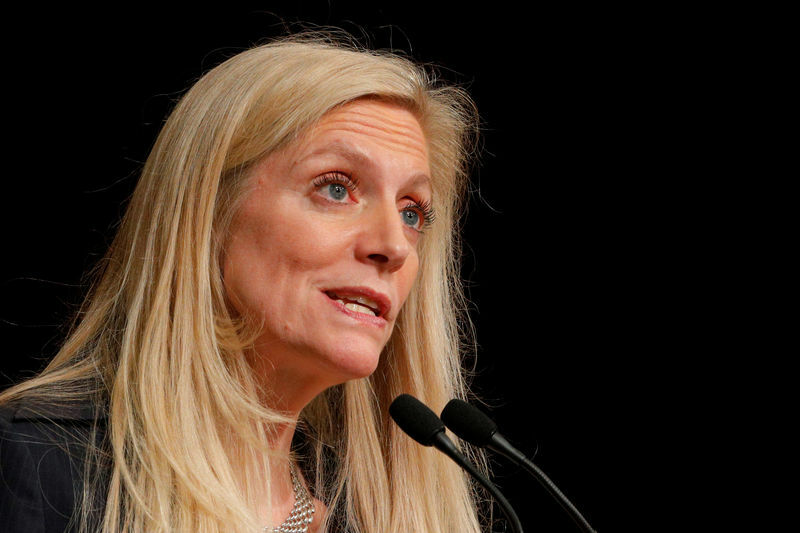 However, Brainard said the U.S. central bank was reviewing the comments received, including suggestions on how banks assess the areas in which they operate. The CRA requires banks to be examined on the basis of their community lending, and disclose geographic and demographic data about home and small business loan applications, approvals, and denials. Critics of current regulations say the notion of a local “assessment area” as limited to neighborhoods around a bank’s physical location, for example, might make less sense in an era of internet-based loan applications and more extensive interstate branching. Brainard said it was important the law continue to encourage lending in underserved areas. “We have heard some good suggestions for ensuring that any modernization of assessment areas should keep in focus the goal of encouraging banks to seek out opportunities in underserved areas,” Brainard said in prepared remarks that did not touch on the economic outlook. “We aim to promote more CRA activity, not less,” Brainard told the research conference in Philadelphia.